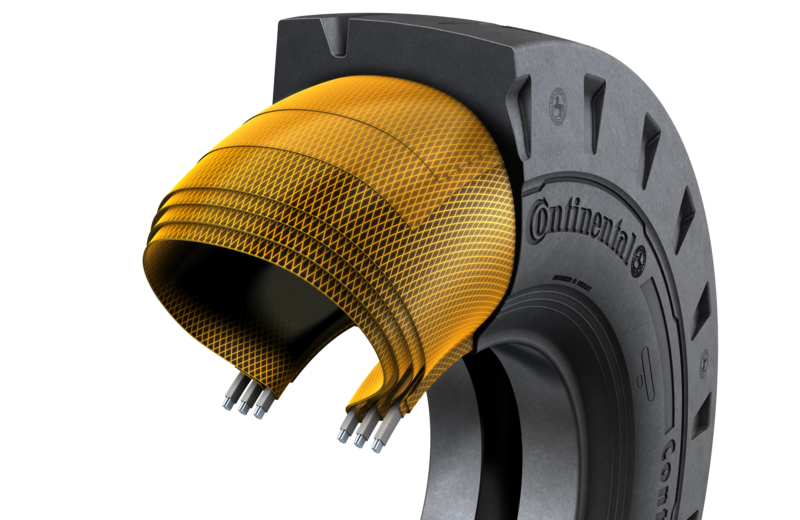 Starting at 24" Continental offers an extensive portfolio of Off the Road (OTR) Pneumatic Radial and V.ply tyres for heavy equipment. They provide comfort on all surfaces and therefore offer the protection of people, goods and material in container handling tasks. 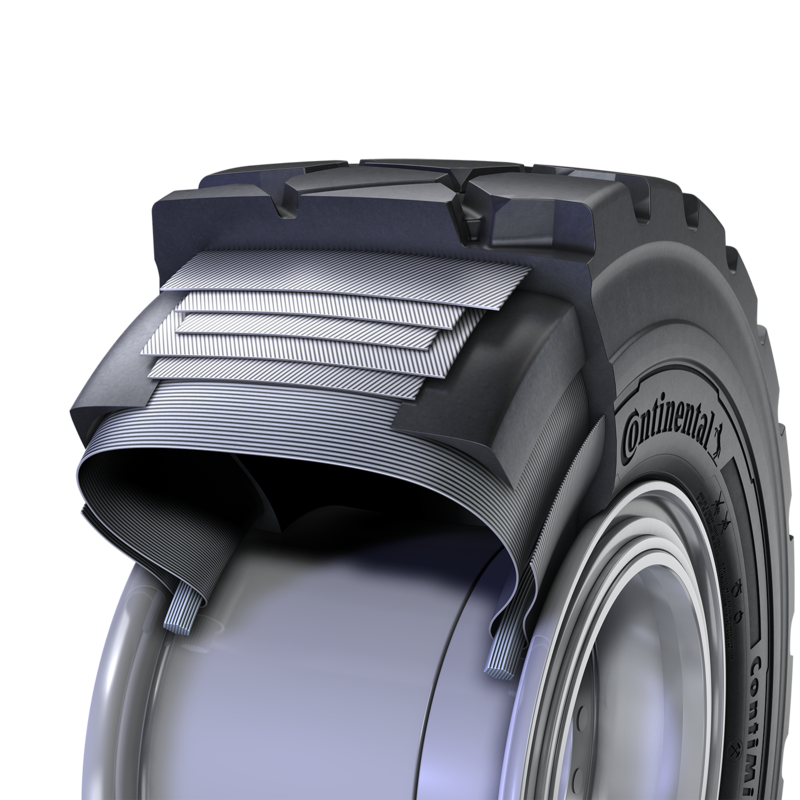 Continental’s OTR pneumatic tyres are typically recommended for heavy forklift trucks, reach stackers, empty container handlers and top loader and generally heavy load transport vehicles. An OTR Radial tyre has a carcass of one or more layers out of fibers or steel which runs directly from bead to bead (radial). A Radial tyre has a carcass of one or more layers out of fibers or steel which runs directly from bead to bead (radial). The tread is stabilised by steel belts. Continental’s Pneumatic Radial tyres guarantee comfort because of their flexible sidewalls. With their low Rolling Resistance you will save energy. That’s why Radial tyres are most suitable for outdoor application and long runs. They are mainly used on forklift trucks, heavy-duty transport vehicles, as well as indoor service trailers or platform trucks. V.ply technology allows the construction of thicker sidewalls compared to radial tyres. V.ply tyres, Continental's further development of cross-ply tyres, have outstanding damping properties and stability. This is not only a result of the compressed air, but also of the exceptionally sturdy construction of the tyre itself. V.ply technology allows the construction of thicker sidewalls compared to radial tyres. Stronger sidewalls mean less tilting, improved protection against damage and a longer service life. The kissing effect of twin tyres is also eliminated because the sidewalls are less inclined to flex and hardly have any contact. Moreover, the powerful construction of the new V.ply tyres improves steering on the spot and tread cracks are significantly reduced.